With increase in the traffic in the metropolitan towns many persons have started using bikes. Tokyo, Beijing, Hong Kong, Copenhagen, Amsterdam and and many more cities are known to have millions of cycle users who commute daily on the bikes for their chores. The negative aspect of this is the chaos creating by insufficient parking space for the bikes. Here is a typical scene in Tokyo. 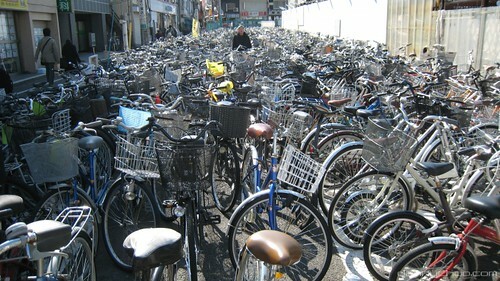 In one of my earlier post I had written about World's Largest Automatic Bike Parking Lot at Tokyo's Kasai Station. 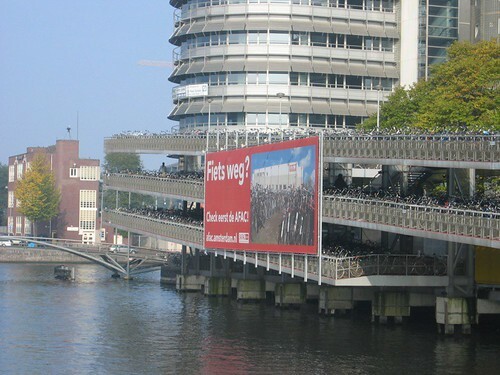 Amsterdam, which is often referred as the bike capital of the world, has many parking spaces for bicycles including this huge multi level parking lot at the Amsterdam Central Station. Unfortunately all these parking spaces are for those who work within the cycleabe distance from their home. Persons who commute daily into the metropolitan towns by train/bus etc. either have bike parked overnight in the parking lot or walk to their work from the disembarkation point or catch some local transport(s) to reach their work place. With increasing demand the bicycle rental system ultimately became quite popular. 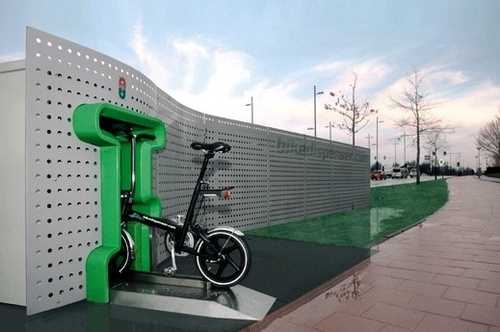 A Dutch company OV-Fiets established a chain of renting station at nearly 200 locations in The Netherlands, especially at railway stations and also at few subways, bus stations, industrial and urban centres. 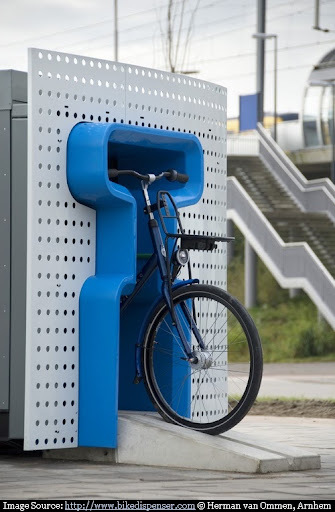 Subsequently a Dutch company Springtime came up with the idea of fully automatic bike dispenser and it was further developed and converted into reality by Bikedispenser.com BV (a Springtime venture). Introduction of new technologies like RFID chips, smart cards, internet connectivity made it possible to automatically rent out a bike and then return it after use. Since the bikes are provided with Radio-frequency identification (RFID) tags, these could be rented out from any outlet and returned to any other outlet. Another advantage of these auto dispensers is that these need a very small parking space - 17 cm (7 inch) per bicycle against 75 to 80 cm (15 to 30 inches) required by conventional parking. Where space is a constrain these could be underground or even on the roof of a building. Each unit can cater from 50-100 bicycles and entire process of hiring takes 15 sec and return much less. 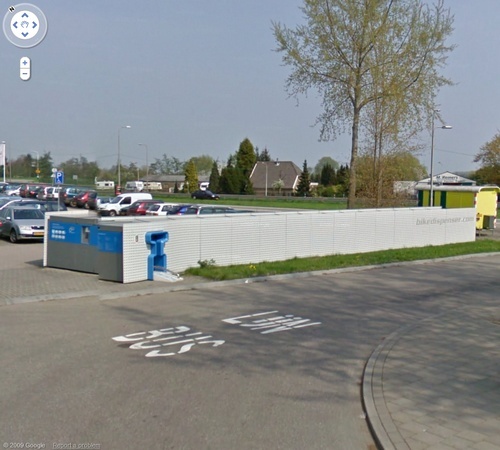 In 2005-2006 a pilot dispenser was installed at Eindhoven, which was later dismantled. Thereafter in 2007, two fully functional automatic bike dispensers were put into service at Arnhem Zuid and Nijmegen Lent railway stations. The design won an award at the 2007 Spark Design & Architecture Awards. Several more automatic dispensers are planned near public transportation hubs. 2 new machines are likely to installed in near future at Delft-Zuid (from August 2010) and Duiven (underground) (from September 2010) respectively. About 10 more are planned for by the end of 2010. The image shows the pilot project machine in the city of Eindhoven. It was later dismantled in 2007. 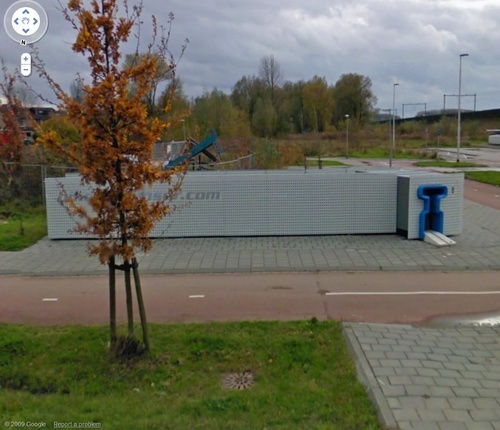 Google Street View of the dispenser at Nijmegen Lent railway station. 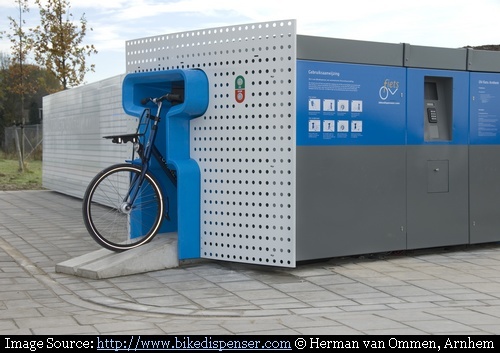 Credits: I am thankful to Hans Schreuder, Managing Director, of Bikedispenser.com, who on my request, not only provided some additional information but has also very kindly pointed out certain discrepancy about the history of automatic bike dispensers in my original post. Edit Note: Based on the information furnished by Hans Schreuder and a bit more research, I have updated/corrected the original post and have also included now, the locations of the two additional places where the automatic dispensers will be installed in August/September 2010.